Desktop and hand held Tape Dispensers come in all shapes and sizes. Excell’s stationery line distinguishes from others because each item is cleverly designed with specific attributes according to users’ need and want. 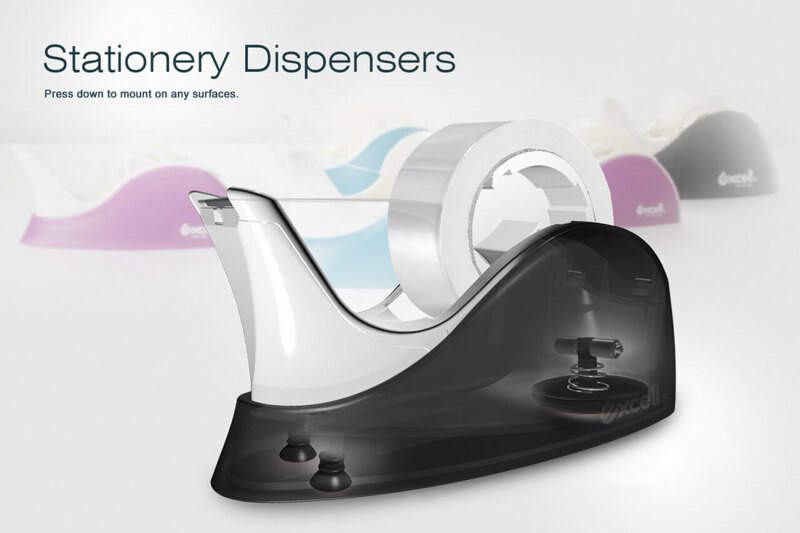 Our products range from multi-track desktop dispensers, mini size dispensers and ultra-light weight hand held devices. Each tape dispenser is designed to maximize user convenience. Features including: tape-no-return, slip resistant base, safety blade cover, integrated pencil sharpener, pencil holder and wave-blade design to cut the tape smoothly. With our latest designed- with suction cups on the base of the device. PRO-MOUNT series promise you a whole new taping experience.